Description Replace NaN (missing or invalid values) with constants or simple interpolation. NaN, or "not a number", is a common acronym used to represent values that are undefined. 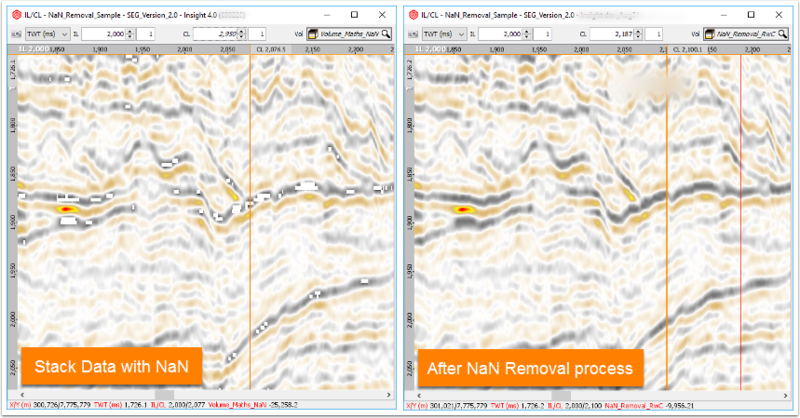 In seismic data and other volumes, NaN values are used to represent non-existent data or missing values. Some processes and formulas may generate NaN values when the calculation is invalid. Click the Process tab in the Control Panel, add a NaN Removal process and enter an appropriate name. 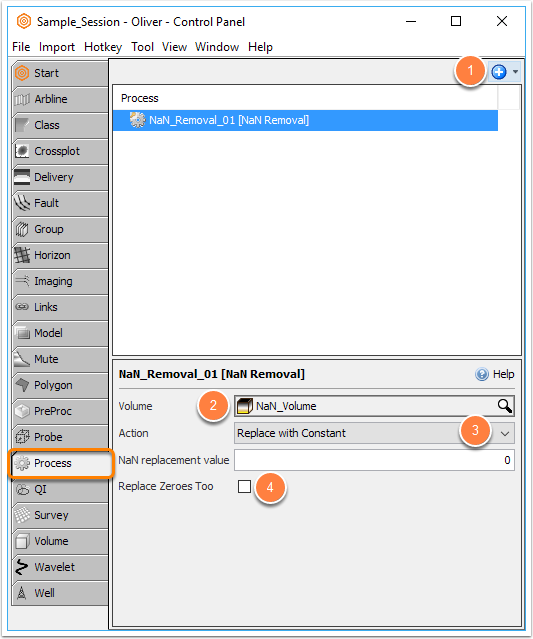 (See Processes Overview for more details on processes in Insight). Select a Volume that requires correction. Linear Interpolation: The replacement value is interpolated from the two neighbouring non-NaN values. Nearest Neighbour: The nearest non-NaN value is used. Click the Replace Zeroes Too to apply the same process to zero values. The result will be available as a selectable virtual volume in Insight.